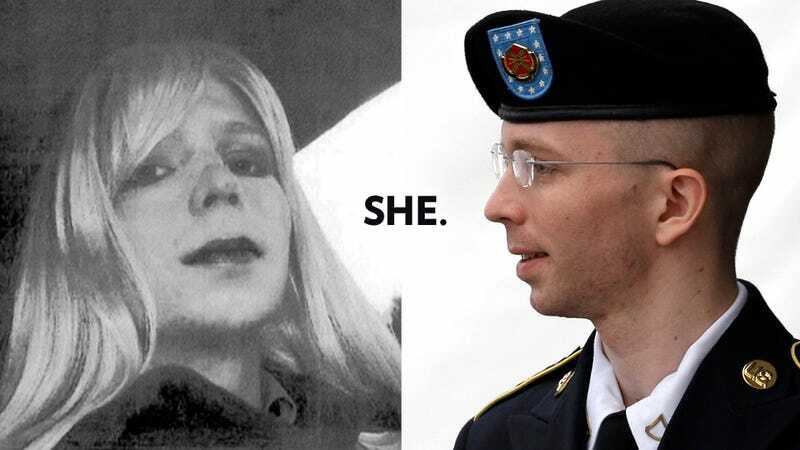 One of Chelsea Manning's requests have finally been heard, even though it is in name only. The military put off earlier requests for a gender change for the Private First Class, according to the Huffington Post, but an army appeals court ruled recently that all future language employed concerning Manning would be neutral or use a feminine pronoun. Nancy Hollander, Manning's lead attorney, applauded the court's decision. "This is an important victory for Chelsea, who has been mistreated by the government for years," she said in a statement. "Though only a small step in a long legal fight, my co-counsel, Vincent Ward, Captain Dave Hammond, and I are thrilled that Chelsea will be respected as the woman she is in all legal filings." However, the military still won't allow Manning to grow her hair longer. In 2013, Manning was convicted of leaking classified documents and was sentenced to 35 years behind bars. Soon after she announced that she was transgender and her legal fight to be treated as a woman and receive hormonal care began.